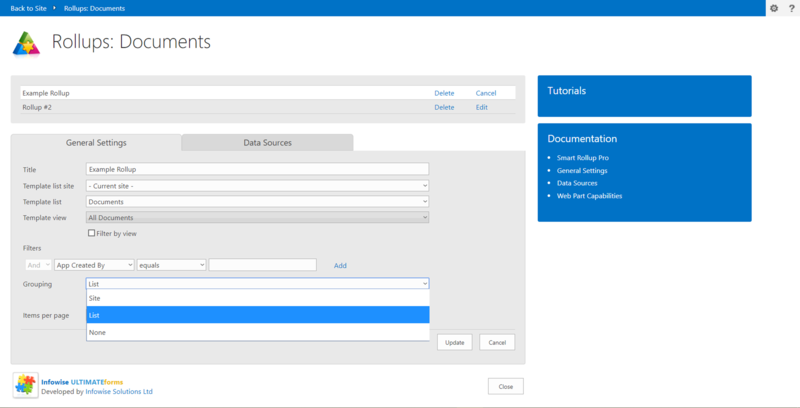 The Rollup feature provides the ability display items from multiple lists or document libraries in one place. You can choose to roll up items from a single site, a site and its subsites, or an entire site collection. 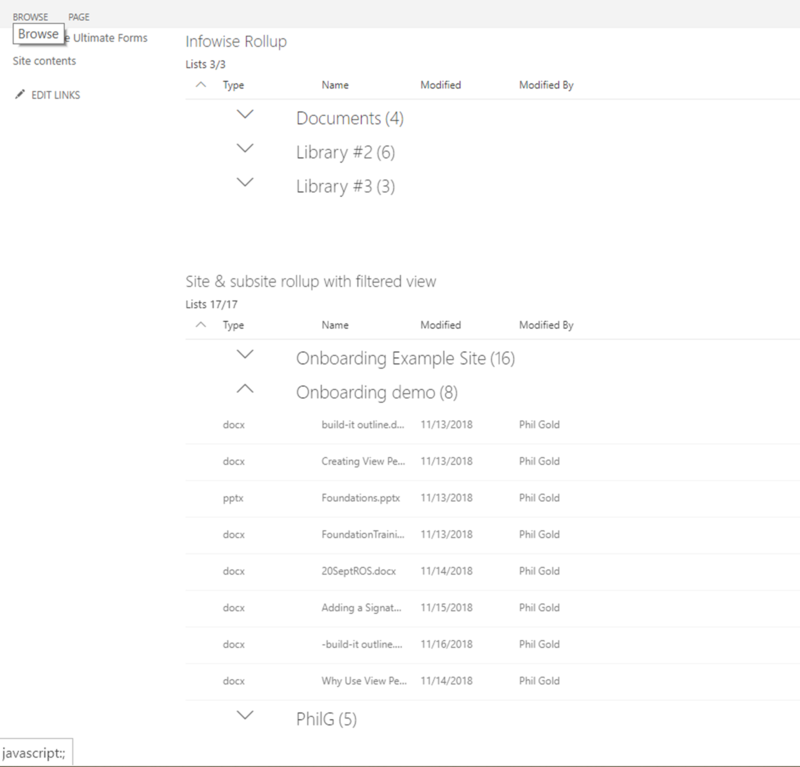 In Office 365, rollups are created within the Infowise tool and then added to web part pages. The web part requires installation of the Ultimate Forms Extensions app. -Current Site- default in place. You can add filters and group the rollup by site, list, or use no grouping. If you use grouping, you can select the option to have the groups collapsed by default. 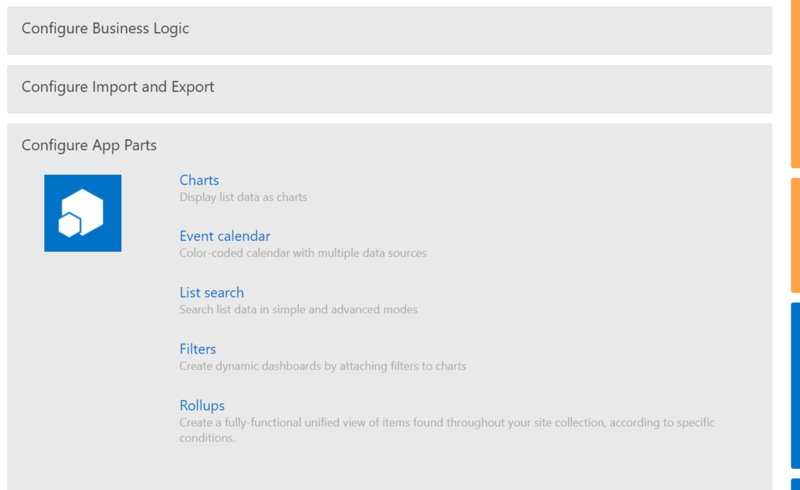 You can also limit how many items are shown per page in the rollup, which is useful for large lists. 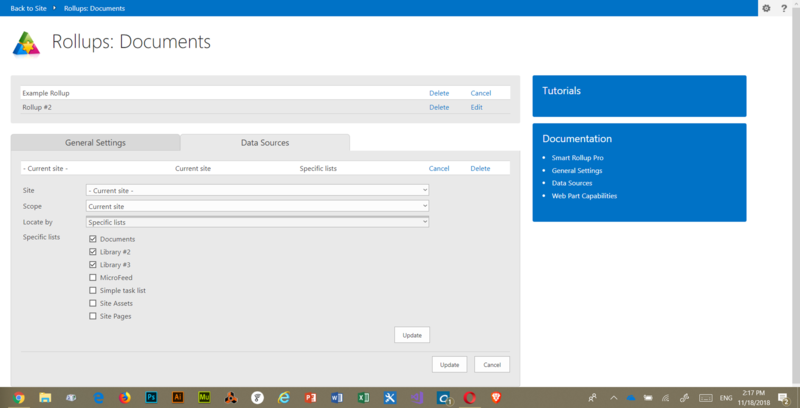 On the Data Sources tab, define the scope of the rollup. Scope can be current site, current site and subsites below it, or the entire site collection (dependent on permissions). 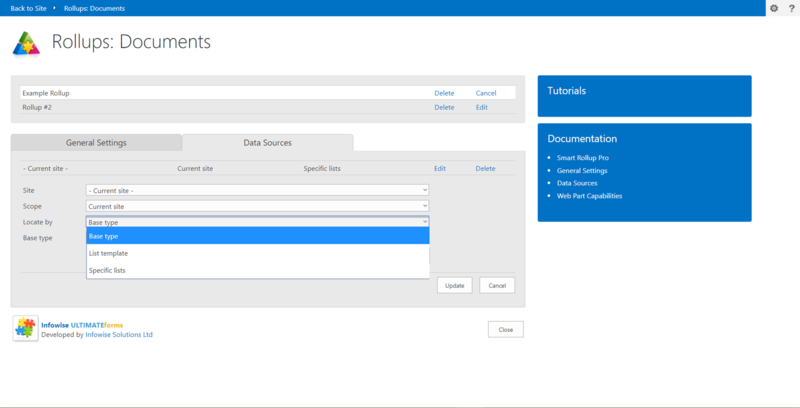 If you are rolling up a single site, you can manually select which lists and libraries to include. This is not available for rolling up subsites or collections. 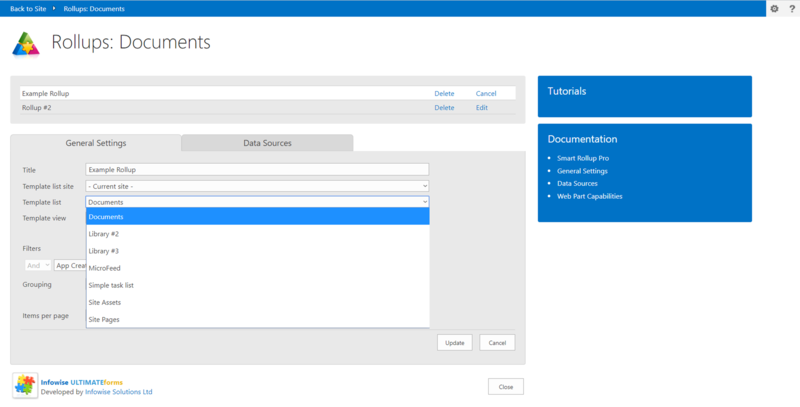 In the Categories column, select Infowise. 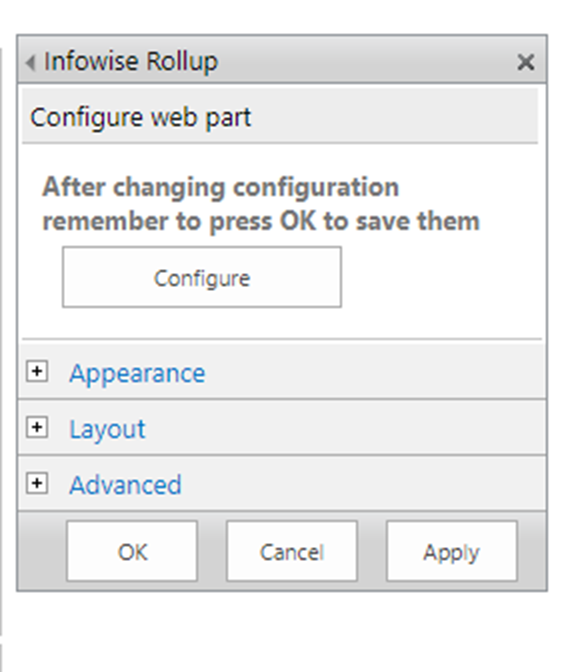 Select Infowise Rollup as the part type and click Add. Select the rollup profile you want to use in the web part, then click the small X in the upper right corner to return to the regular edit part dialog. Make other changes as needed and click Okay to save. For additional information about defining data sources and the on-premise version of Rollups, please check the documentation online. 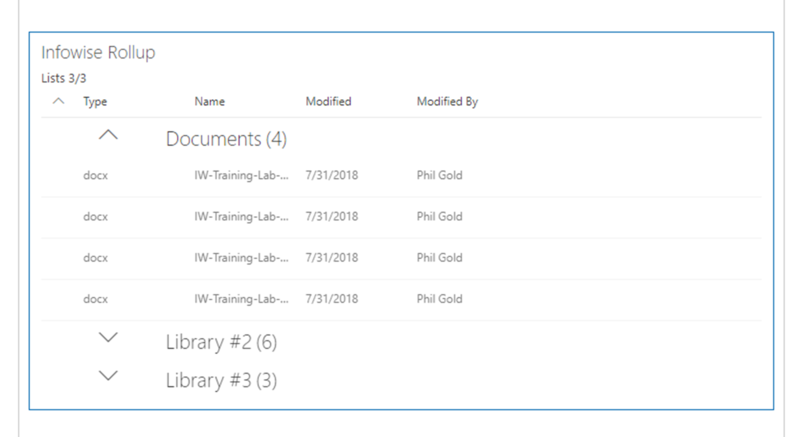 The Rollup feature provides the ability display items from multiple lists or document libraries in one place. 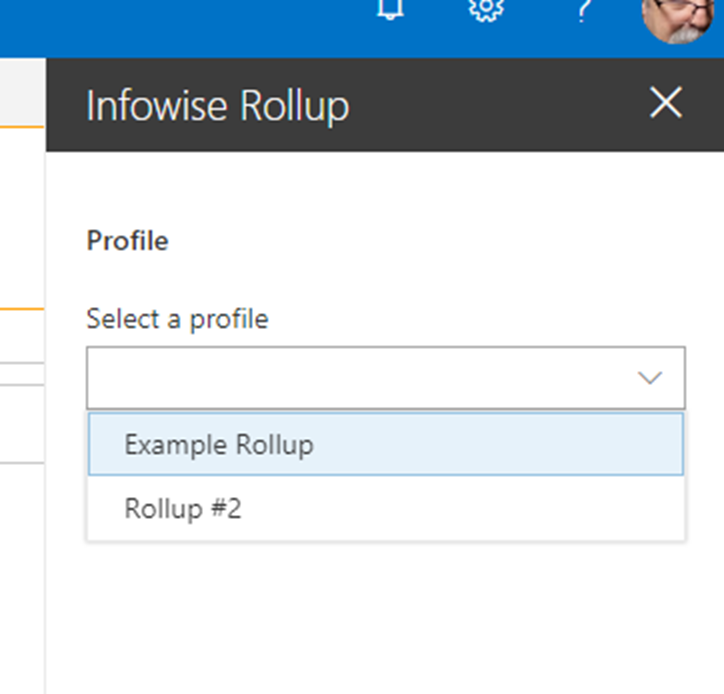 In Office 365, rollups are created within the Infowise tool and then added to web part pages.